David Stevenson shatters many of the myths surrounding this most charismatic figure to reveal a remarkable life - but not a heroic one. The picture of a man deeply wronged and oppressed, forced into outlawry. The supposed warrior leader never fought in a battle. Yet in some ways Rob remains an attractive figure. That he survived, in spite of the odds against him, is a remarkable tribute to his tenacity. 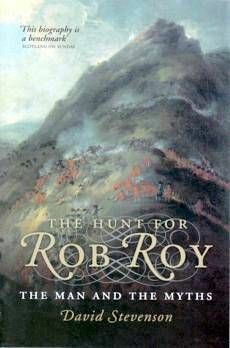 With this book Scotland may lose a hero of the old-fashioned, unreal sort, but it possesses in Rob Roy a man whose true life-story as it emerges is dramatic and human.